– If it’s Tuesday, it must be new releases, right? Today’s batch includes Taylor Swift (only $3.99 at Amazon), David Archuleta, Tracy Chapman, Seal, T-Pain, David Foster, and Deborah Cox. The cavalcade of reissues and re-releases include discs by the Smiths, New Order, Enrique Iglesias, Hilary Duff, Genesis and Abba. However, I predict a dark horse this week that may make a big splash is the new holiday release from Enya. I can’t think of an artist that is more appropriate for Christmas music than her. 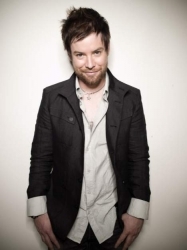 I’m not saying it’ll be GOOD, I’m just saying it makes sense. For some amusing Alphabeat visuals, check out the BBC Chart Blog’s latest addition to their “How To Destroy…” series. – On a personal note, I’d like to thank all of you that have supported me over the past few months. This started off as a little experiment and hobby, but has really turned into a passion. I set a goal a few weeks ago to do a post a day for a month, and so far, so good on that. Due to a search engine find, the blog has exploded in the page view department, with over 1,000 views in the past two days. It’s a little humbling when folks you read and admire compliment your work, but I am grateful for any and all feedback. Thanks for your support…while it’s cool to document this for myself, it’s even better to have a dialogue with voices other than the ones in my head. ← What Makes “U.S.” So Special? 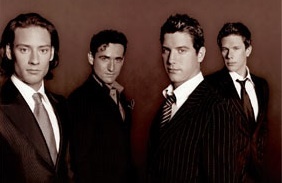 BTW I freaking love Il Divo, Blake, Jonathan Ansell – all that pretty boy opera pop! Their power of love is gorge. Congrats on all the page views! That’s awesome. 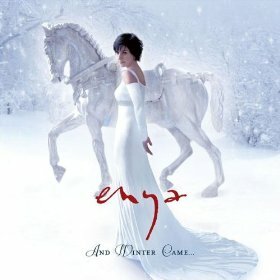 And I agree, Enya at Christmas seems RIGHT, even if it’s not as stellar as Watermark. You can make it all right on the year-end chart, Paul. It’s within your power. I’ll be waiting over here, mm’kay? Yuri, thanks so much for the praise and the reassurance. A track from the Enya CD even debuted on the AC chart this week, so I think it’s off to the races. Even Billboard is now predicting a Top 10 debut. Ha! I’ve got to find a pic of her to see the wonky eyes. Never noticed that before.